Toughbook antennas are obviously monopole so relatively easy to figure out. And then there's the issue of half or quarter length. For example, 1200Mhz is 2.34 inches HALF length but 2100Mhz is 2.67 QUARTER length. So the same antenna can roughly be used in both cases. , if your chosen formula shows that the present antenna is the correct length, you might be in to something. It's not. I totally mangled one up and there's no sign of an offset core. It would also have to be thicker. Az and Kode, Check out PM. Patent pending. Still, I wouldn't mind an answer to the question of if there are multiple part numbers for antennas relative to carriers. I figure a few here have a lot more experience juggling Toughbook hardware from Panasonic than I do. The CF-30, for example, ships with Verizon, Sprint as well as HSDPA/EVDO specific models. Is it the same antenna in all cases? To my feeble knowledge yes. Carrier change is with dip switches plus sim card with some. My total experience is Verizon and Gobi 1000/2000. Nothing's easy. I just found out that my card might not like the antenna. My indoors signal goes from 50% to 10% when I swap the AUX/MAIN cables on the module. I had to take a closer look. Starting by figuring out why there are two cables on the sled and only one back plane connector that seems to go to the external antenna. 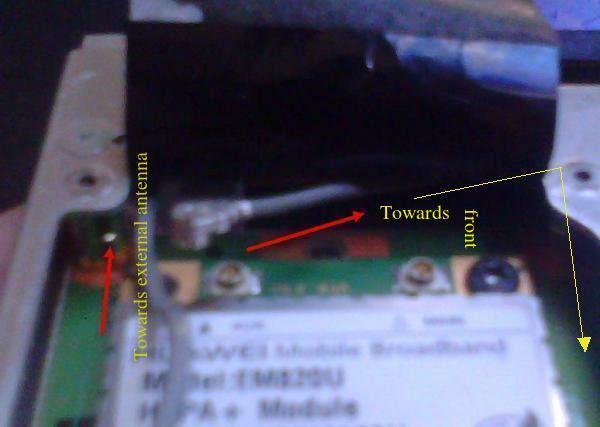 If you look at the rear connectors on the sled I have, there's only one plug for the antenna that goes into the main board (left) and there is an optional plug on the right. Then it's easy to figure out which one of the cables goes to the external antenna through that plug on the left. If I plug that on MAIN on my WWAN card, the signal turns to crap. I just need to figure out what the heck is the other one doing on the right and why that works better on MAIN. It snakes to the right then back towards the front end of the sled. With some minimal disassembly I was able to figure out where it goes. 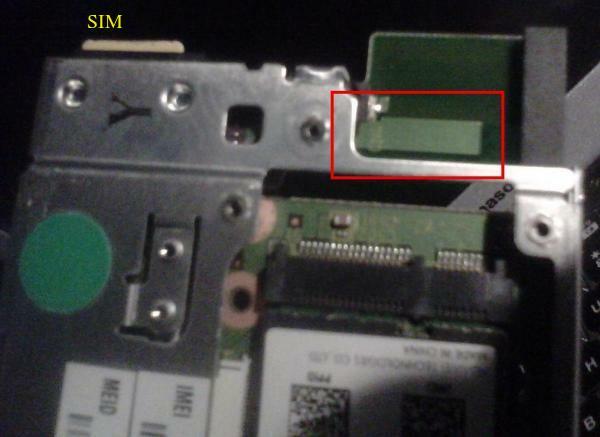 It appears that there is an onboard antenna next to the SIM slot and the cable connects to that section. 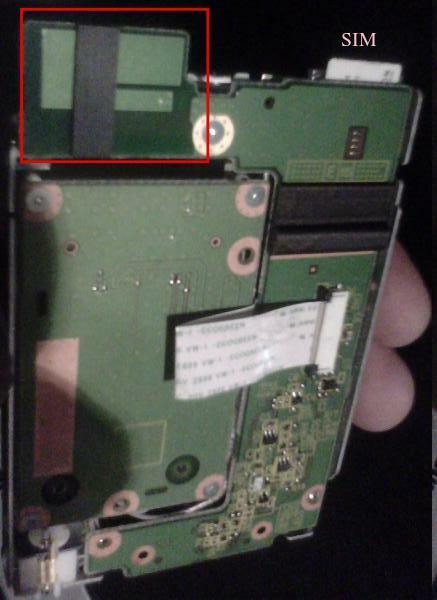 Underneath, there also seems to be an antenna layer. Judging by the shape these layers appear to be made to accommodate two or more frequencies. Sadly I did not have a ruler to make wavelength calculations. Since I'm not using a standard Panasonic WWAN module, the AUX/MAIN relationship might differ from, let's say, a Gobi 2000 , I can't come to any meaningful conclusions yet. 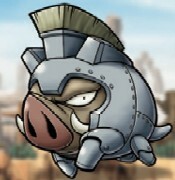 I just raises more questions. Interesting fact: now that I've upgraded my CF-30 3G WWAN to LTE against conventional wisdom, it's curious that the MAIN connector of the Sierra MC700 works better using the external antenna. I've observed at least a 10% signal increase. Unfortunately I do not know of a way to determine if I'm connecting to LTE with B4 1700 or B13 700 of which the MC7700 and my carrier both support.